I've committed myself for 2015 to learn Scala, and I wish I did that earlier after 20 years of Java (wow, that makes me sound old :-). 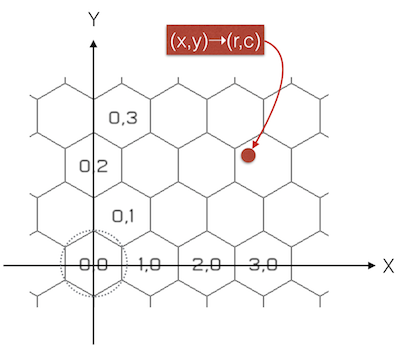 I've placed on Github a simple Scala based library to compute the row/column pair of a planar x/y value on a hexagonal grid. In the meantime, like usual, all the source code is available here.